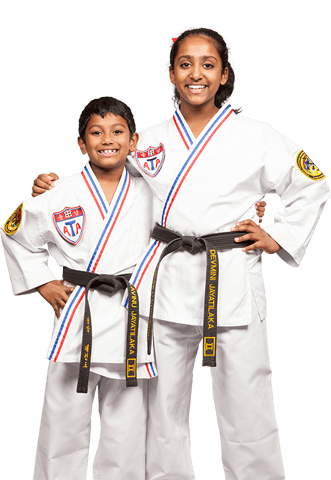 Make the commitment to earn your Black Belt! Individual attention is a feature of each and every class, allowing all students to progress quickly and confidently toward their personal goals. 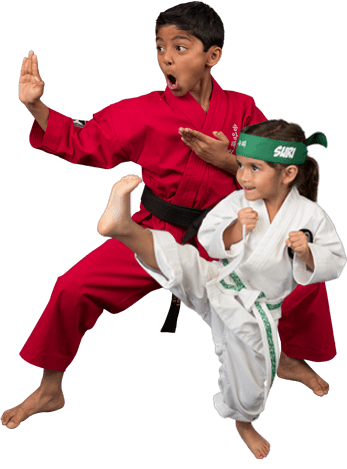 Our instructors take their responsibility seriously as role models for younger students, teaching them the importance of strong character, leadership and good values. Students learn to use control, focus and distancing while engaging in no-contact sparring in a fun, safe and positive environment. Sparring teaches application of defensive and offensive techniques while increasing reaction time and encouraging good sportsmanship. Students wear safety gear while sparring. 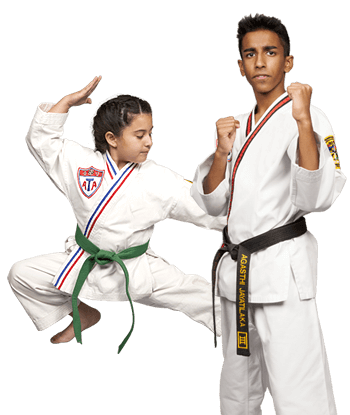 The weapons training teaches Black Belt Club members to handle weapons safely through basic strikes, disarms and partner drills. 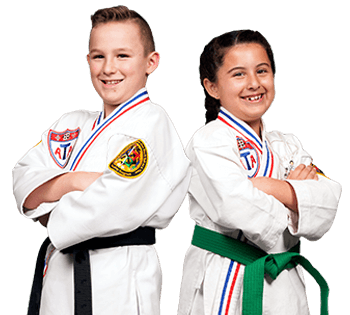 This training prepares students for the more advanced weapons requirements that will greet them once they continue their training beyond the First Degree Black Belt rank.